I've been using Facebook for quite a long time. One of the features that was introduced several months ago is 'Facebook Memories'. Every day, Facebook reminds you what you posted on this day last year, the year before and all the years since you joined the social network. To be honest, I cringe at a lot of it (I expect most people do!). However, today it reminded me of a meme that I posted a couple of years ago, following the death of my dad. I was going through a bad time and couldn't see how things were ever going to be better. When I saw this today it made me smile because it reminded me that things can change for the better, even when it seems completely impossible and all hope is gone. Anyone who has lost a parent will tell you that you never get used to it, you just get used to living with it. When my dad died, I found it really, really difficult to get on with life for a very long time. Now, I feel that this meme, which seemed a bit corny and a bit unrealistic when I first posted it on Facebook, rings true (especially the plant analogy given the huge role the Green Party now plays in my life!). 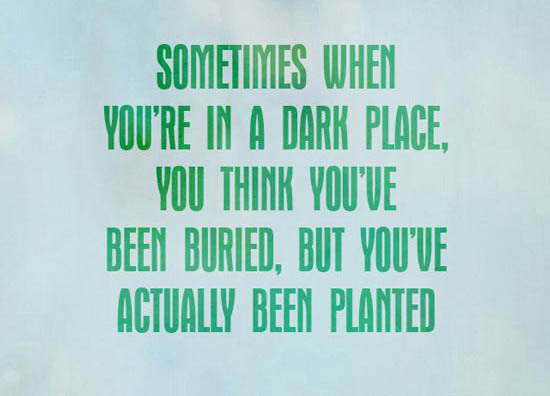 If you're going through tough times, and you feel like you've been buried maybe, just maybe, you've been planted too. 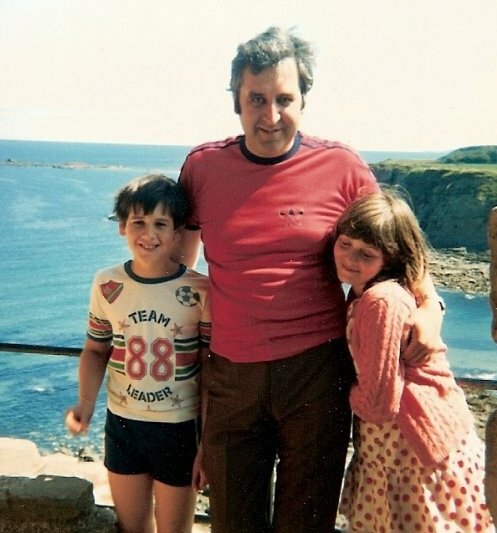 With my dad and my brother on holiday in Scotland, 1981. 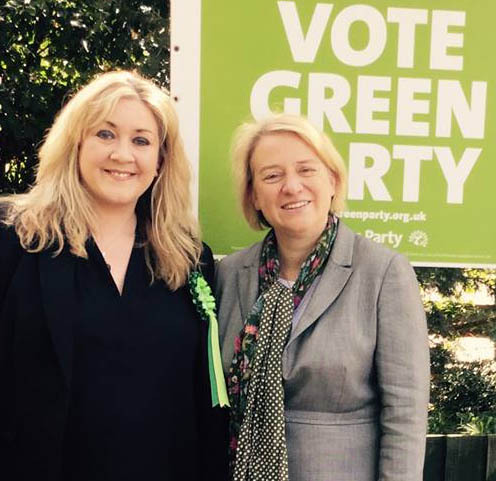 On Sunday, Natalie Bennett announced that she does not intend to put herself forward for re-election as leader of the Green Party. "Please think about whether you, or someone you know, could fill one of [the leadership] roles – and if the latter, please do ask them. Sometimes the best candidates for roles are not those who leap forward, but those encouraged by others." Elsewhere in the media, Natalie has been quoted saying how important it is for others in the party to have the opportunity to step into leadership roles. Natalie's belief - that others should be given the opportunity to shine - is one of many reasons why I have so much respect for her. I will miss her leadership when she steps down from the role. As you may be aware, there were some City Council elections in the UK on Thursday 5th May 2016. 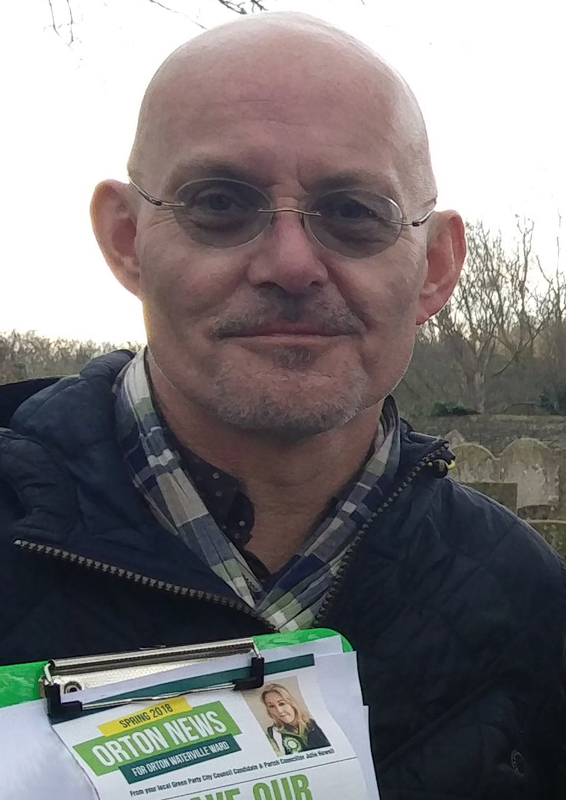 At very short notice, Natalie accepted Peterborough Green Party Coordinator Roger Proudfoot's invitation to visit Peterborough on polling day. To receive a visit for the party leader on any day of the year would be wonderful. That Natalie took the time and effort to visit us on the most important day in our 2016 calendar just goes to show what an encouraging and nurturing leader she is. Myself and fellow PGP member Fiona Radic met Natalie at Peterborough station at 11am and escorted her to Werrington ward to meet other PGP candidates and members. After discussion, an interview with the Peterborough Telegraph and a photocall (during which Natalie was incredibly patient as we queued up for selfies! ), we took Natalie on a walk of the ward. Word soon got out about Natalie's visit and even Peterborough MP Stewart Jackson took the time out of his own busy day to welcome her to our city. After meeting some local residents, Natalie returned to London and I later saw her again on social media bringing more inspiration to people supporting Sian Berry's campaign to become London Mayor. Natalie's visit gave our spirits a real boost and she was very encouraging to me personally which means a great deal to me. It's so important for morale to be reminded that we are all essential cogs in a powerful machine. Natalie made us all feel like we really matter. I understand why she will not stand for leader at the next election, but am pleased to hear that we will not lose her from the Green Party altogether. Leaders like Natalie are precious and rare. I hope it won't be too long before she visits us again. 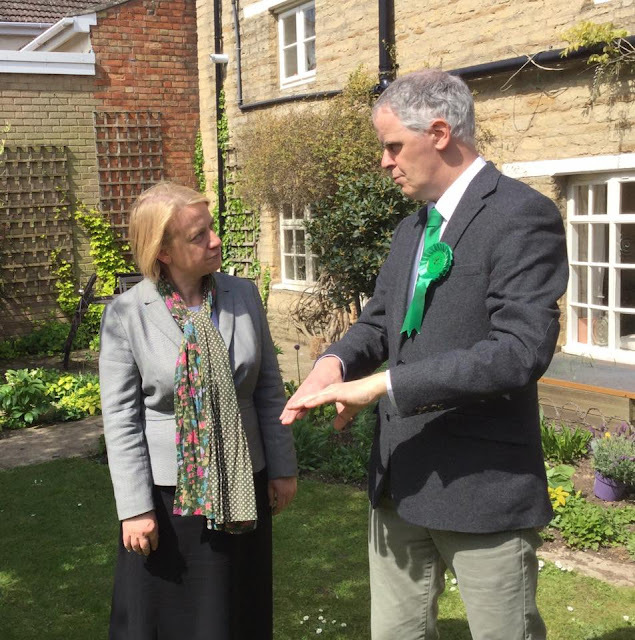 Natalie Bennett describes Peterborough Green Party as a strong local party on Channel 4 News 16 May 2016 from Julie Howell on Vimeo. This may come as news to you as there has been very little information about it in the local press or from the City Council until now. Did YOU know of the plans - that have already been approved by your City Council - to build up to 130 new houses on land formerly owned by the East of England Showground at Orton Northgate? As you will read, Alwalton residents have raised concerns about access to the new housing scheme. According to the article, Alwalton Parish Council and some residents of Alwalton feel that access to the new housing should be via the entrance to Orton Northgate that already exists, along a road called Joseph Odam Way. 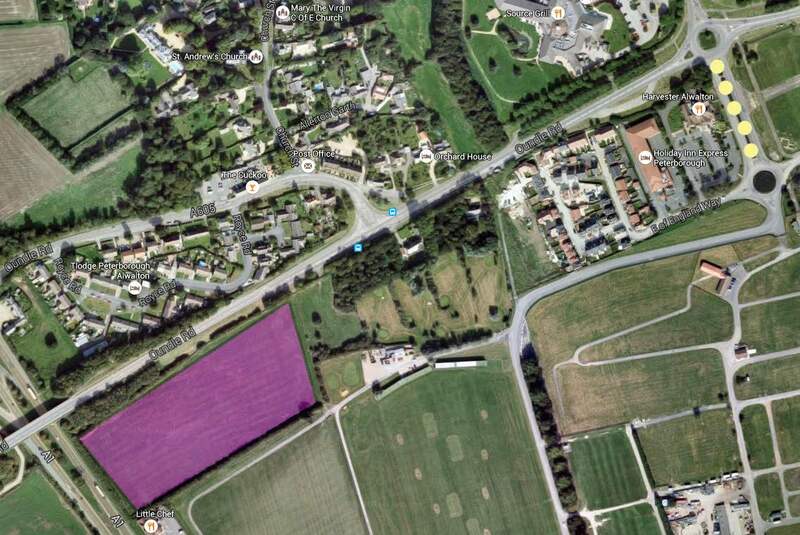 Joseph Odam Way runs off the Lynchwood roundabout towards the entrance to the Showground, with access to the houses on the Northgate estate off to the left and the right from a further roundabout just outside the Showground gates). Peterborough City Council, however, agrees with the developers, that access should be via Oundle Road and that a new signalised junction should be put in place on Oundle Road to facilitate this. The area shown in purple is the approximate site of the new housing. The yellow dots indicate Joseph Odam Way. Alwalton Parish Council's and Alwalton residents' objections and suggestions seem to make perfect sense to me (I live in Orton Northgate and share Alwalton PC's concerns about safety and congestion). I would be interested to know how Orton Northgate residents feel about the access proposals. Do you agree with Alwalton Parish Council or Peterborough City Council? If you drive along this section of Oundle Road at peak times how do you think the plans will affect your journeys? Do you worry that this section of Oundle Road will be less safe when the Council-approved access to the new housing is put in place? What about during the construction period? Are you concern about safety on that section of Oundle Road with so many heavy plant vehicles entering the development site via an already very busy road? *Please note that Alwalton Parish Council does not cover the area that is being developed. Alwalton Parish Council covers the area adjacent to it, hence their concerns about traffic flow and road safety. The new development will be within Orton Waterville Parish. Peterborough Green Party is celebrating its most successful results to date after the Party's 18 candidates polled 4,908 votes across 14 wards in last week's 2016 Peterborough City Council Elections. Almost 12% of people who voted in these wards cast a vote for a Green Party candidate. "Our candidates polled ahead of Labour in three wards and ahead of the Liberal Democrats in five wards", says PGP Coordinator (and candidate for Werrington Ward) Roger Proudfoot. "Our best results came in Orton Waterville and Orton Longueville. 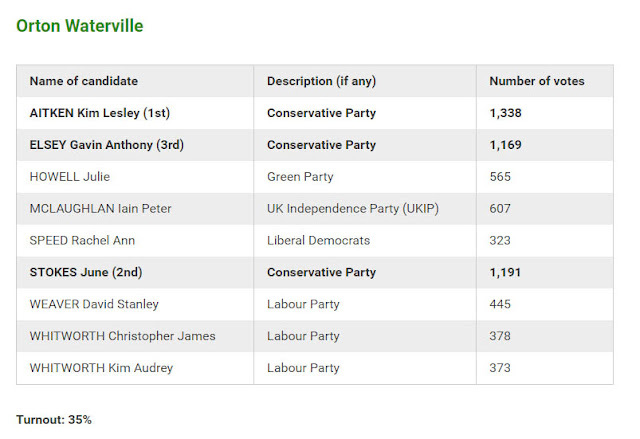 23% of voters cast a vote for Julie Howell (Orton Waterville), while 19% of voters cast a vote for Alex Airey (Orton Longueville). "These results clearly demonstrate that the 'Greening' of Peterborough continues, despite what you may have been encouraged to believe about the 'Green surge' being over", says Proudfoot. 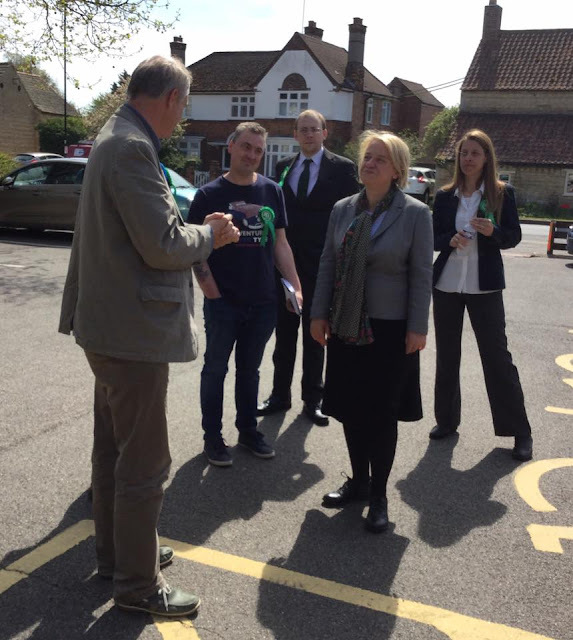 Green Party leader Natalie Bennett visited Werrington in Peterborough on the day of the election to lend her support, and later described the Green Party’s result in Peterborough as "Great foundations laid for the future". But under Proportional Representation we'd do better! 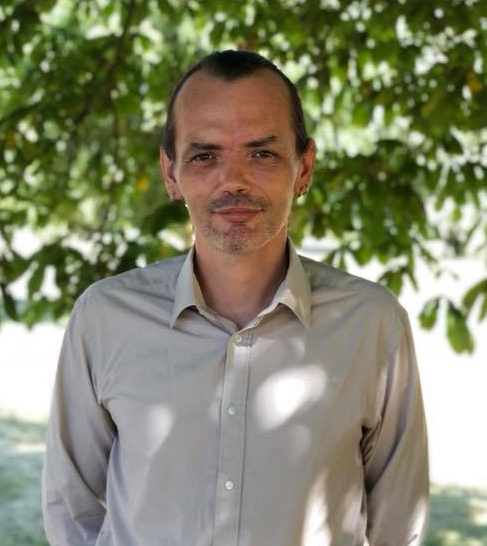 Despite polling an average of 13% of the vote across Peterborough in the wards Peterborough Green Party stood, the current method of polling means that the Party was unable to secure its first Green Party City Councillor. "When you consider the result in this light it’s plain to see that the voting system is broken and that Peterborough is a lot ‘Greener’ than the composition of the new City Council would have people believe", says Proudfoot. "A different polling system, known as Proportional Representation (PR) would mean the apportioning of council seats would be allocated to reflect the share of the vote overall, which would be a clearer reflection of the electorate’s wishes. "Under PR the Green Party would have won at least four seats on the City Council this election." 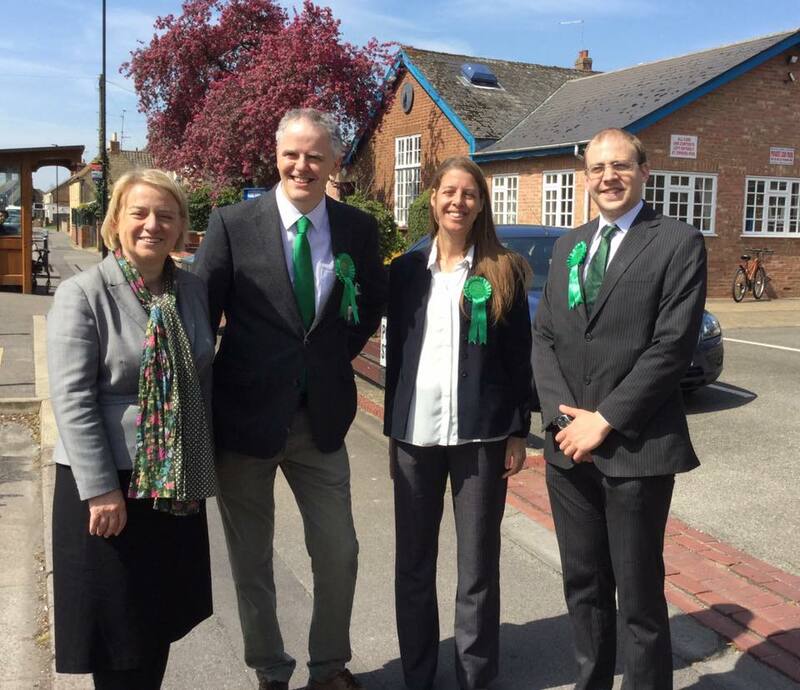 Even without any Council seats, Proudfoot is keen to stress that support for the Green Party is surging in Peterborough and that the 4,908 votes cast for the Green Party were not wasted. 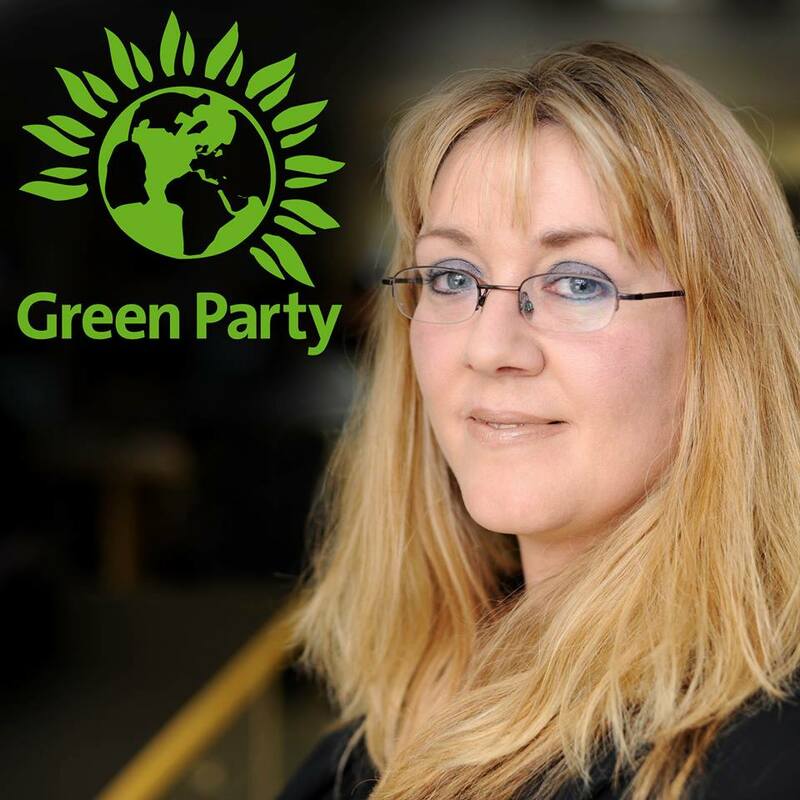 "It is very clear that the Green Party in Peterborough stands for ideas and policies that a significant number local people want, from our campaign for 20mph speed limits in residential streets to our policies on the reduction of harmful littering. These results show that Peterborough is getting Greener all the time. Our party will continue to work with local people between elections to carry on our vital work that is making our city a cleaner, more sustainable and happier place for all residents." I'm writing this the day after the 5th May 2016 Peterborough City Council Elections. I got home at 4am and have only had a couple of hours of sleep, so please forgive any errors in my text - I'm both physically and emotionally exhausted. Yesterday, was the first time in my life that I have stood as a candidate in a local election. What's more, I took the decision to stand on Sunday 20th March 2016. This meant I had only 46 days between my decision to stand and election day to canvas your votes (compared to the other candidates who had years of experience and much more opportunity). In the last local election in this ward, the Green candidate came in fourth place (out of four) with 319 votes, and in the year before that the Green candidate came in fourth place (out of five) with 206 votes (both of these results were EXCELLENT for the Green Party, and I thank our previous candidates for building this support for the Green Party in Orton Waterville wholeheartedly). With little time and very little resource, and having been set the expectation that I should come last, I decided to work as hard as I could to continue to increase the Green share of the vote in Orton Waterville. With all of this in mind, last night's result has blown me away. As you can see in the table above, 565 residents chose to vote for me, your Green Party candidate. The effect has been a 5th place ranking (narrowly missing 4th place by just 42 votes), with the Green Party polling more votes than candidates from two other mainstream parties. This is a tremendous result for the Green Party. I know from speaking to many of you that this has been the first time that you have ever voted Green. I can barely express how honoured I feel to have the support of so many people in Orton Waterville ward. I wish I could thank each person who voted for me individually. As you can see by looking at the figures, every single Green vote made an impact. I would also like to take the opportunity to extend my thanks and respect for the gracious conduct of the other candidates in this race, both throughout the campaign and on election night, where I was very much the novice. We are all united in our hopes to encourage better turnout at local elections and to engage the public in local democracy. My Conservative colleagues worked very hard for their success and were gracious in victory. This is a result to be celebrated. The mountain the Green Party in Waterville faced was enormous. 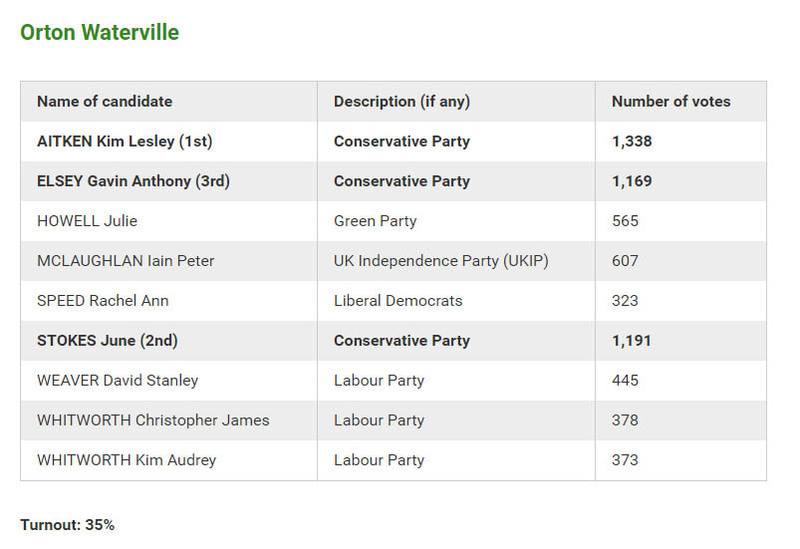 To come in 5th place out of nine candidates is a huge achievement for my local party. Moreover, we are absolutely delighted to know that Green issues have such a high level of support in Orton Waterville. Any politician will tell you how difficult it is to convert voters from a standing start. 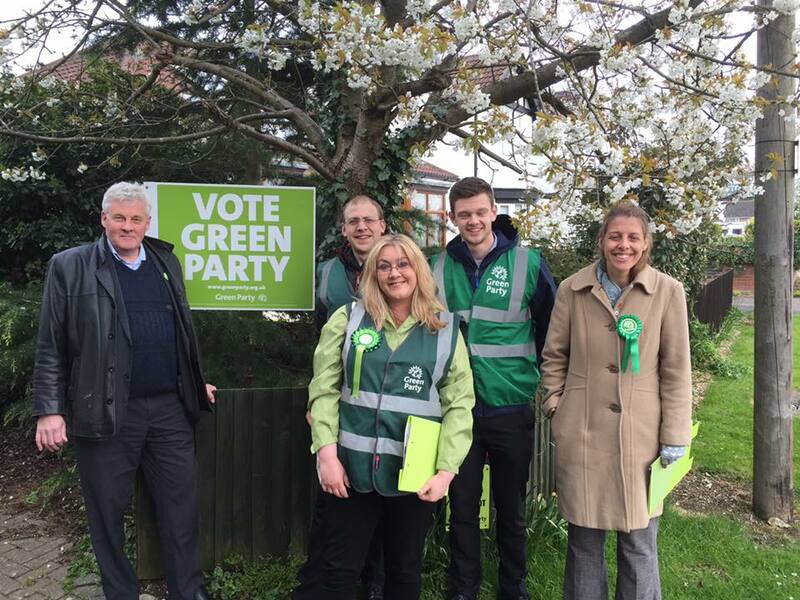 I feel incredibly humbled by the level of support that I and the Green Party have received. Last month, I was re-elected as Parish Councillor in this ward, so even though I didn't succeed in gaining a City Council seat in this election, I am still very much present in Orton Waterville ward and you will still see me in our community and still find me working hard for all of our residents. Finally, I would like to thank my Peterborough Green Party colleagues for being so generous in their support of this new Green Party member, many of whom gave willingly of their time and resources to to help me to reach you with my leafleting campaign. Our Party Co-ordinator Roger Proudfoot, my electoral agent Fiona Radic and Green Party members Alex Airey, Jon Phillipson Brown, Fay Belham and Ruth Fiddy, all of whom went the extra mile (literally), helping me to deliver my election leaflet to nearly 4,000 houses in our ward, and to everyone at Peterborough Green Party and our supporters for being an unwavering source of encouragement and support (and hugs, when I stepped off stage after the declaration last night and promptly burst into tears). Last but not least, my loyal and loving partner David, who designed and delivered the electoral leaflet that had such a huge impact on local people. This is not the end. It is the beginning of the sure and steady process of 'Greening' Orton Waterville by taking better care of ourselves, one another and our beautiful environment and I feel confident that our natural wildlife habitats will continue to benefit enormously from your new and renewed interest in Green issues. To everyone who took the time and trouble to support me in your myriad ways, THANK YOU.